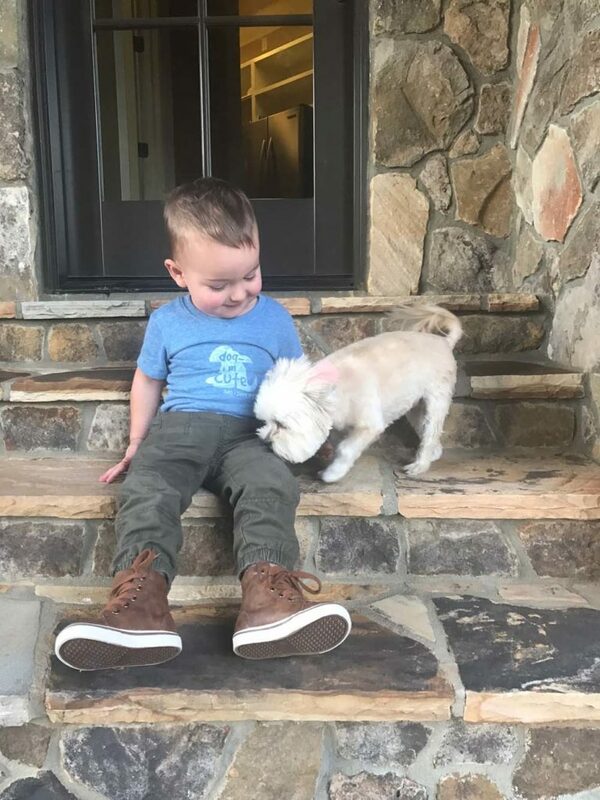 I am so excited to share this unique children’s apparel company, Trendy Little Sweethearts, with you. Not only are their shirts a-dor-able and oh, so trendy – they are eco-friendly and socially-concious. Each purchase includes a donation to help the animal on the front and an activity to share with your little one. How cool is that?! 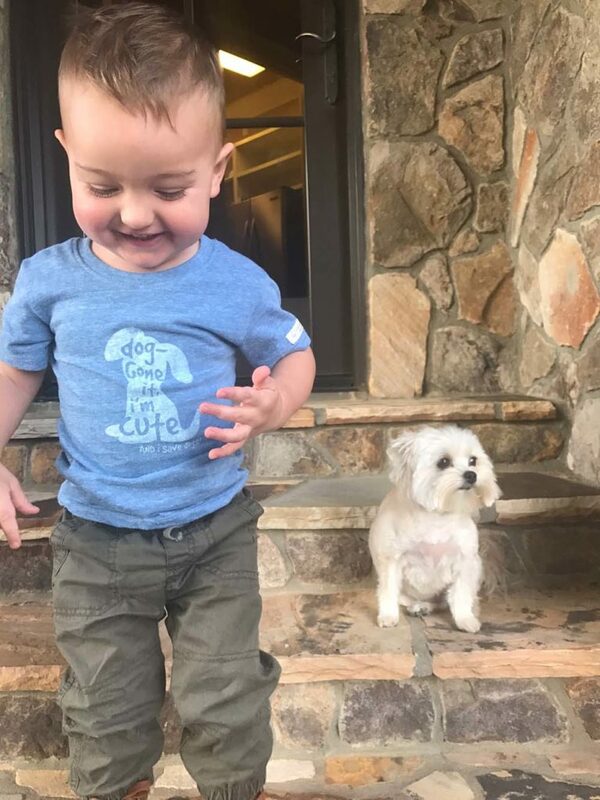 We especially love this Dog-gone Cute Dog Tee because Brexton is OBSESSED with our sweet dog Lucy! 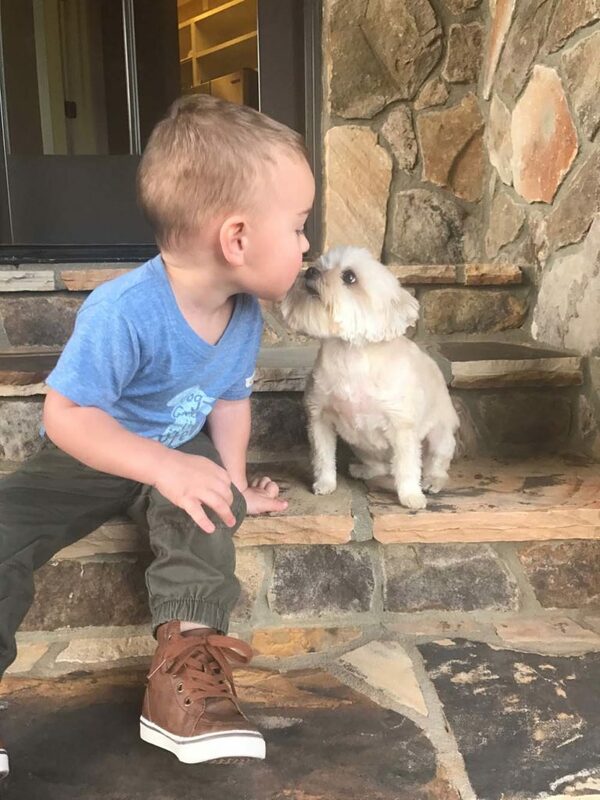 He loves to feed her, play fetch and give her tons of hugs and kisses. She won’t admit it, but she loves him too! 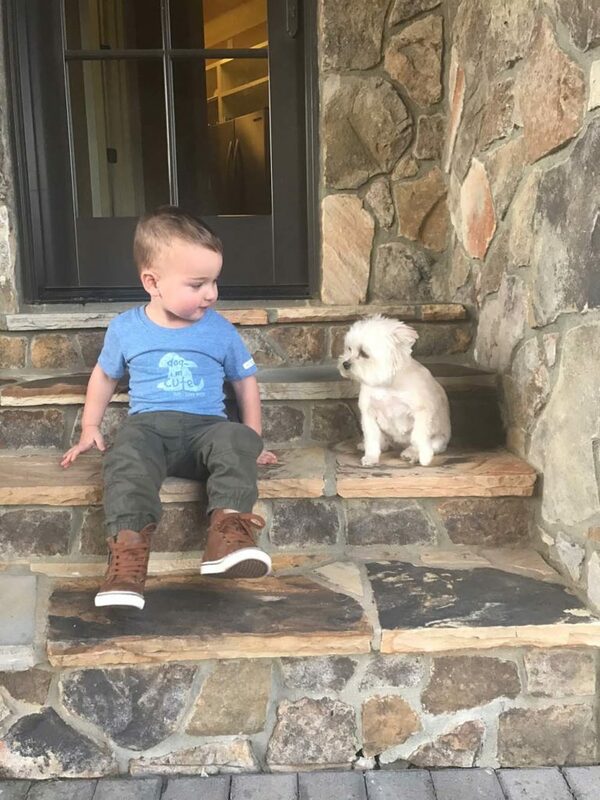 Every time he wears this shirt, he points to the puppy and says “woof woof”. The shirt is so soft and you can tell that it was made with quality material and will last. 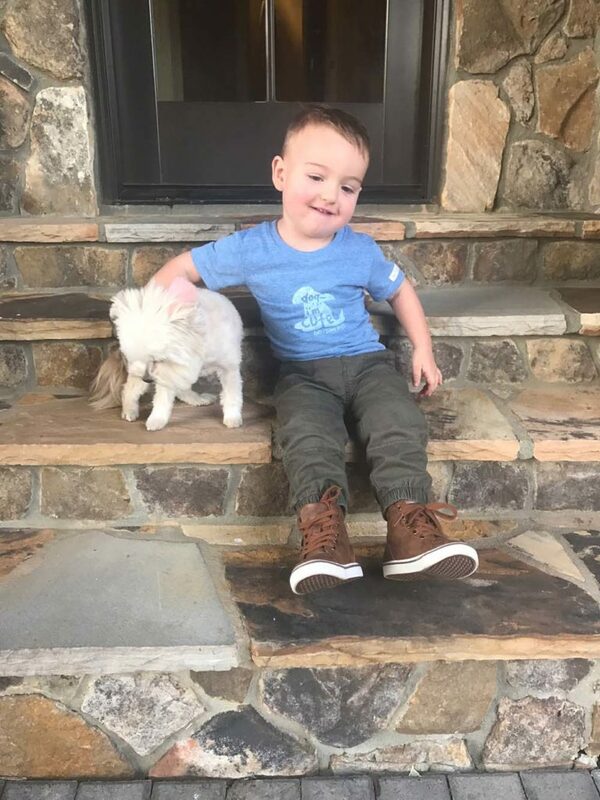 Our shirt came with a fun activity that taught him all about why dogs were cool. All of the supplies are made and produced in the U.S., which makes me feel great knowing I’m supporting local American businesses. Please go check out on Facebook and Instagram @trendylittlesweethearts! You can use promo code Brex15 for 15% off through this Friday! Be sure to share your photos of all your fun purchases!